Today I need to dip into the knowledge pool that are my awesome blog readers, and get y’alls advice on something. Specifically — barn sitting. As I approach my last month in Austin, and subsequent last month of working, I’m starting to think about what I’ll do for side money in California. The first year of my school does not include a TA position. While I’m super fortunate to have a fellowship and parental support, I’ll need to work part time for spending money (mainly for a certain bay Thoroughbred). For my college 1.0 experience, I tutored as well as worked part-time at a dry cleaner. Not exactly glamorous stuff, but they were jobs that gave me horse money and were generally pleasant. However, they had a pretty strict schedule and for at least my first semester I’m trying to find part-time work that I can turn off/on as needed due to school obligations. After all, school is my priority for the next two years and I need to be able to free up my schedule as needed. All that being said, one of the first thoughts I had was doing dog walking. I won’t be able to stay overnight (because my own dogs) or board dogs (because apartment), but I’ll have a pretty open schedule that should allow drop-in visits for clients. The problem with dog walking though, is that there are a million people who want to walk dogs for side money. You know what there aren’t a million of though? Horse people! There are a few towns near my school that have lots of little farmettes and horse communities, so I think it’s a strong possibility there’s a potential clientele in the area. I obviously have a lot of horse care experience, and have worked at a farm before so know the ins and outs of feeding/mucking/turnout. That being said, I’m curious to hear from y’all on both sides of the equation — as people who have farm sat before, and as farm owners who would potentially hire someone. I don’t have a vehicle capable of hauling a trailer. I’ve hauled before and am very comfortable with a two horse, but is that a deal breaker? I’m smart at basic wound care (can sweat/standing wrap, pack feet, clean wounds, give IM shots etc) but I haven’t given IV shots. This could be something I could learn while still in Austin, but I’ve been shown before and have never been super comfortable with it. Not sure if this is something of concern or not. And finally, what are overall tips/suggestions/things to make myself aware of? Is this even a worthwhile consideration, or a fool’s errand since I’ll be a brand new horse person in the area with my only references being Texas folks. I can create a professional looking website for pet care in about a weekend, and know how to market myself well… but I don’t want to put forth the effort if it’s a nonstarter to begin with. I dog walk and farm sit, and both have been EXCELLENT sources of horse show money for me. There is more demand for dog walking, at least in my area, than you might think, so don’t rule it out yet. Our little company is constantly overrun with requests and we just hired a fifth team member! There are also different online platforms out there that work kind of like care.com or uber for dog walkers, though I don’t have a huge amount of experience with either. I think your biggest hurdle in this is going to be references. You know as well as all of us that the horse world is very much word-of-mouth based, and if someone’s going to be staying at my house taking care of my animals, you bet that I’m going to want a recommendation from a person that I already know and trust. A way to work around this might be to start with doing stalls/feeding shifts at a local barn and start to build connections that way – you’ll prove your worth and responsibility, and as you meet more people in the community, you can let them know you’re available to farm sit. I’ve gotten all my farm sitting gigs through people I know who just asked if I could do it, and then they told their friends, who told their friends, etc. Building a trustworthy reputation in your community is key to this being successful, IMO! How has your experience been being solo versus using something like Rover (which is the care.com for dogs you mentioned)? At first I was like, “oh i’ll just make a website and advertise myself!” but I’m leaning more towards rover.com for at least the dog side of things. They help with insurance and provide a stream of people looking for services, even though they take a cut and will send you a 10-99. I did use Rover for a short while and it was an OK experience. I got a couple jobs out of it and one was great, while the other was a person I would never ever dogsit for again, and then my friend asked me to join her independent company and I never looked back! That’s been very fun and very successful BUT I also do not run the business or do any marketing for it. Still get 10-99’d for it, though, and she provides the insurance. That said, i think in your case Rover is a really good way to go since it does do the background check, insurance, etc. It’s a safer bet for the clients and helps your image as a ‘trustworthy pet sitter’. The farm gigs I’ve done have all been word-of-mouth, no insurance, under the table type stuff for friends and friends of friends, which results in more profit for me but could get ugly if something goes wrong. I think at least starting with something like Rover, and then moving to a more independent format if you are successful, might be a good way to go! Yeah, that’s kind of what I’m thinking too. Nice that you have someone to run the “business” side of things for you! I would not have someone with dogs stay at my house. OTOH, are you close enough to stop & feed at places twice a day? That’s what we have now. No one seems to want to stay over. Good to know. I honestly would prefer not to stay over, but it would depend on the distance. Thanks! As someone who has needed a pet sitter and struggled to find one, I’d keep that option in mind for sure as a potential market. Re: farm sitting, I’ve never done it before but have worked at many barns – almost all of which were jobs I got through personal connections and having already known the farm. They’ve all been bigger lesson type barns tho as opposed to small private barns so maybe it’s different? All the barns I’ve ever boarded at have either had paid help full time, or boarders/lesson kids stepped up to farm sit when necessary. I know as a boarder, I wouldn’t have been happy having someone I didn’t know care for the horses without the manager/trainer around. So maybe try to establish yourself somehow at the local farms? I don’t know the best way to do that… you’ll get to know people naturally once you move Simon, though. Yeah I don’t either. I’m sure it’ll have to be a word of mouth thing, and you’re right – there aren’t a TON of small farms that would even need someone for this kind of service. My regular barnsitting gig generally pays for all of my horse shows every year. For me it’s lucrative, and doesn’t take too much of my time, really. That said, I do not advertise myself at all (I got this gig because someone suggested me to her) and I would not do it for less than $X per day. Really I’m not interested in barnsitting for anyone else at this point. I was a barn manager back in the day (and I have foal and stallion experience, which I need at this particular gig), so I’m comfortable with the responsibility, but that’s the part I’ve heard most often that scares many people away. It can definitely be stressful but for me its REALLY mutually beneficial for me and for the lady I barnsit for. She trusts me, and I always care for her place and her animals like I would my own. I’ve turned down several other gigs for people who don’t pay as well (most don’t) or if I don’t get a good vibe from them. FWIW, I do stay over (which I prefer, I just like being on property when I’m responsible for the horses), but I do not bring my dogs. She has dogs of her own, and for the vast majority of places that I’ve personally experienced, bringing my own dogs would not work. Yeah I’ve worked with foals, but it’s been a long, long time. I’m not sure I’d feel comfortable telling someone I was super used to them at the moment. Everything you said about barn sitting makes sense, and I feel similarly about cost versus effort, etc. Small farm owner for 20 years. Finding a farm sitter can be challenging but I have had good luck through word of mouth, my local horse and livestock 4-H clubs and club leaders, and asking my vet. If you find a good local equine vet a lot of times farm owners will be asking for recommendations from the vet and that could be a potential source of business for you. I find as a farm owner that I like someone over 18, competent, but horse experience will really vary. I prefer people to stay over to rotate dogs, horse, and etc.. You would be my dream farm sitter, though I did have a vet tech for a couple of years and she was super. I pay between $50-$100 a day but when you look at the cost of kenneling even 2 dogs it is not that expensive for me as a farm owner and is a nice side gig when we are gone for a week. I think it’s a perfectly valid plan. It’s not something I can do anymore, though I’ve done it in the past – it sends my anxiety into overdrive. I got my previous jobs through word of mouth, primarily. I know now when I see people advertise that they are available to farmsit or housesit I am wary. I’d never respond to an ad; I’d always ask around at my barn. So I think part of it is getting into the local community and proving yourself as a sane, sensible, and reliable person. That takes time, which you may or may not have. You’d need to establish yourself as a known quantity, then get a break to take your first gig, and get local references. In terms of success in the position, I think that keeping meticulous records is key. Being able to answer questions and follow instructions to the letter. Communicating clearly about what the owner expects and what you expect – how much information do you want them to give you? what are you allowed to do while you’re there? (some people are fine with you raiding the fridge; some people would be weird about that) when do they want a call? do they want the horses to be worked at all, even just longed? what are you willing/able to do in an emergency – do they have instructions on file with the vet? Loads of things like that. A lot of it can be summarized by just being very explicit and clear about what you are able to do and what owners want you to do. I petsit/barn sit often for extra money. People typically give me strict instructions on what to do in case of an eergency, but no one has ever expected me to be able to haul horses to vet with my vehicle. If they dn’t have a trailer/truck, they expect vet will come to them. I also bring my dogs, and people are fine with that too. I just make sure I pick up after them and clean the house at the end of the stay. All the farm sitting I’ve ever done was through word of mouth, & I only ever use people I know to care for my horses when I’m away. Farm sitting was great fun butnever that lucrative for me. Have you considered something like Airtasker to pick up jobs on the side? I have never even heard of that — will look into it! I second the not ruling out dog walking. You just have to find the right situation, especially if your mid day can be flexible. I pay $20 for 20 minutes for someone to take my older dog out to use the “facilities” while I am at work. She comes once a day every weekday anytime between the hours of 11-2. This woman lives in my apartment building, and I know that she does 2-3 other dogs a few times a week. On a given day she can make upwards of $40 for about an hour and a half’s work, and she’s home by the time her kids get back from school. Like some others have said, all my barn-sitting jobs came from word-of-mouth. I never advertised. I’ve done dog sitting and still do farm sitting. I would caution that depending on the size of the operation it isn’t that flexible. The horses have a schedule and I am pretty much chained to the farm when I’m sitting. I don’t stay there regularly but have if needed. That’s for 20 horses though so may be less restrictive for a smaller operation. As a boarder I farm sit because I would rather know who’s taking care of my horses. I definitely don’t do it for the money. In all honesty I don’t get paid enough relative to what my time is worth getting paid for other things. That said I know my BOs won’t just hire any old person. Re some of the medical stuff you mentioned – liability wise I would probably say “I can do xyz in an emergency” but I wouldn’t personally give a horse an IV injection unless it’s my own or the owner explicitly said do x and it’s an emergency. They already make me nervous and with a strangers horse . I farm and pet sat all through my 20s. Being in California you will have a good amount of people that need it. The best gig I had was dog sitting on overnights, $75 a day. Walk the dog twice a day and feed them. Super easy and I did usually stay there. I would go home to my dogs and tuck them in and then sleep at the place I house sat. Farm sitting can be great too – just be really aware of the mechanics of everything> I had a friend help me once who left the water on and burned out their well pump. If you aren’t familiar with the workings of farm things, have someone you can call or familiarize yourself with the way everything works and write it all down so you have quick help if something goes wrong. Another thing you can offer is exercise rides on peoples horses. $20 a horse was my standard fee and it helped a lot. I did lots of barn and dog sitting while I was getting my MA in English. My vet recommended me to people. The problem I had was my classes were in person so I had to be in class and couldn’t accommodate some people’s schedules. Some also didn’t let me bring my dog which was a problem since he didn’t do well alone at night. I earned a good bit of the money I bought Val with, by barnsitting for a friend who traveled for work frequently. I would definitely only use someone that came through word of mouth, if I didn’t already know them. I factor into the pay, a prior to the job visit, where I orient them to the farm and how I do things here. There is a quasi instruction manual with emergency contact info and reminders about what and where everything is in the barn. It takes a special combo of reliable + experience to make a good barnsitter. I have a friend with a dog and horse-sitting business. She says that horses are easier than house-bound dogs, because she doesn’t have to make multiple trips to let them out or walk them. I would be nervous about working around farm that I didn’t know well or didn’t know the owners. Most properties have little quirks that you need to know about ahead of time, like the well pump situation mentioned by another commenter. I think the best situation sounds like one where you can stick around the farm (bring your dogs) to keep an eye on things and do your school work between barn chores and feedings. Start with the farm where you move Simon to and that should help with fact that you will be new to the area. Definitely pros and cons just like any job and it’s a lot to consider going full-time. But if you’re just looking for some side cash, do it! Especially if you can bring your kids with you ♡ That’s the hardest part doing it full-time. I work by word-of-mouth and don’t do a lot of advertising mainly because I live in a small state and people telling their friends about me tends to keep the crazy away. I dog and house-sat for a professor of mine throughout undergrad quite regularly. He had two large breed dogs and about 2 acres of property. I stayed at his house with my dog and husband (bf at the time). He paid me very well and, at the time, was almost like a mini-vacation from our shoebox-size apartment. Since I’d had several classes with him and also conducted research in his lab for experience, he knew me and trusted me. It was a very good gig with minimal interruption to my life since I had to walk my own dog anyway and this was a major upgrade in house and access to endless forest walking trails. One note of caution – when I moved away for my masters degree, I was sure I’d have time to do something else in addition to course-work, TA work, and thesis research. I wasn’t allowed to make more than my scholarship and TA provided or I’d have to give up the TA’ship. I thought I’d start taking once weekly riding lessons, since there were many barns within short distance. I was wrong. There was no time for anything that required a regular commitment. Sure, once in awhile we found time to go out or socialize but those moments were pretty rare and I definitely needed that time to decompress, not work. I’m not trying to discourage you at all, everyone is different, as are programs. Just be prepared to be busier than you can possibly imagine. Grad school is not widget-making and sometimes you can write well and quickly with great ideas, other times it takes much longer to brew and process etc. Just something to consider so you think about all sides. Word of advice. I don’t know if anyone mentioned this previously. California is not a no fault state for horses unlike almost every other state (I think 47 are). In California it is very easy to be sued because of a horse injuring someone/something. 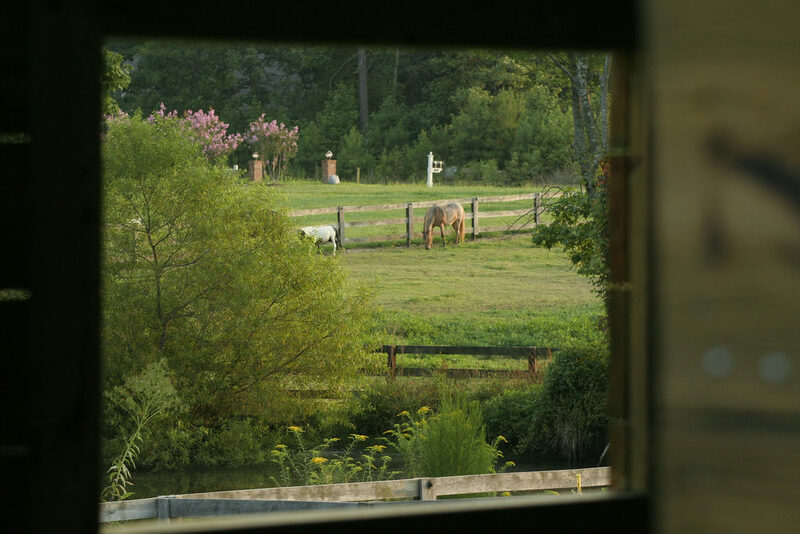 This can include a horse running into the road because it got out of a pasture, not just riding accidents. 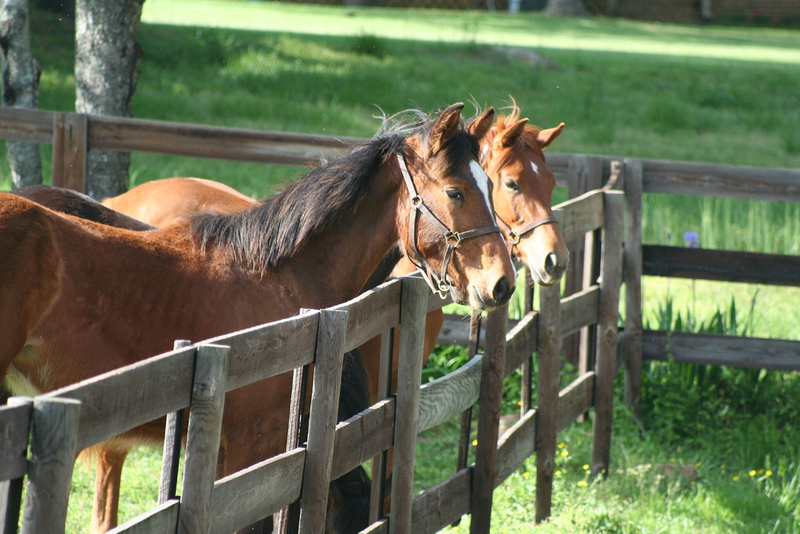 You could be held liable even though you don’t own the horses. I would not do farm sitting in this state without getting some sort of liability insurance. However, because you’d be making $, you’d need commercial insurance which is very expensive in CA. Not trying to harsh your plan, I just wanted to make sure you knew about that aspect of CA. I’ve done farm sitting in the past (in other states) and love it, but I wouldn’t want to do it here. The dogs are a deal breaker for me. I would not allow someone to stay at my house with dogs or even bring them to my barn. Not being able to pull a trailer should be irrelevant. Most of us have friends and neighbors who we would have do that. I would suggest working at a private barn in a regular basis to establish yourself. I have a zoo (horses, goats, donkey, dogs, chickens, cats and a cockatiel) and we hire a farm sitter when we go out of town. I give the sitter the option of staying at our house or commuting, but the pay is the same. I wouldn’t care if our sitter brought their dog(s), they just have to be mindful of my herd (currently there are 23 dogs at my house. 14 are fosters) and the herd dynamics. I absolutely wouldn’t expect my farm sitter to give my horses injections. If there is a veterinary emergency they call the vet to come over. We are fortunate to have quite a few very competent vets nearby so if the regular vet can’t make it out there are other options) I’ve considered hiring someone who could ride one or two of my more broke horses, but that has never come to fruition.